How do you know your procedure will work outside the design space and in the real world with real users? You’ve written a new procedure. Your procedure review identified completeness, correctness, and subject matter applicability. You feel you’ve caught your procedure writing errors and the procedure’s ready to go…but go where? How do you determine if your new procedure is working? How can you make that final step of procedure validation? 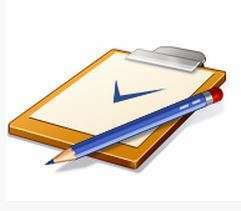 Checking the procedure is a form of procedure verification. You run a test before implementing the procedure to verify that the procedure works and meets all the design requirements. But how do you know if the procedure will work outside of the design space? Will it work in the real world, with real users? At this point, we are beyond procedure verification — we need to validate the procedure to ensure the process and procedure are working. You are not done until you complete procedure validation. After all, you wrote the procedure to close some gap in compliance, quality, or performance — how do you know your procedure is actually closing the gap? Procedure validation consists of performing procedure training, process auditing, and completing a process procedure management review that will allow us to confirm that the gap is closed, the process is working, and the procedure works. Procedure validation starts with process implementation and procedures training. Procedure training will be your first feedback from the actual users. Gather the procedure users together and brief everyone on the main procedure tasks, changes, and process objectives. Use your process maps to visually explain the process. Highlight individual responsibilities for key performance metrics. Ask questions and obtain feedback. Remember: your procedure goal is “a working process”. If you have a lot of users from multiple work cells or geographic locations, you need to prototype the new procedure — test it in one area before implementing it across the whole business. Your procedure validation should occur before a widespread implementation. In a small organization with limited scope, this is often not practical. In that case, process auditing is critical to ensure that the procedure works. Once employees are trained, how do you know if the procedure works or is being used correctly? To find out, you need to audit the procedure at some point after procedure training. Process auditing is an internal audit of the process and procedure. At some interval after training, you need to follow-up on your new procedure and see how it’s being used. Is the procedure followed? Is the procedure effective? Is the process working? Is the procedure working? Is the procedure integrated into the process? Simple questions, but they all must be asked. If the process or procedure is critical to quality, compliance, or performance, you should perform a process procedure audit sooner and more frequently (perhaps 7, 30, and 90 days apart). You are still in procedure validation and you need feedback to determine if your procedure is working. Once validation is complete, you may be able to back off the process audit (e.g., cut back from monthly to annually): it all depends on how well the process is working and how critical it is to your firm’s success. Once audited, how will you know if the procedure is performing as expected? To find out you will need to analyze the audit data and process performance and hold a process procedures management review. If you started your process procedure journey with a project charter, you have your original quality, compliance, and performance objectives. Compare your audit data with the project charter to determine if your procedures work, if the process is working as expected, if you’re ready to close out procedure validation, or you need to make changes to improve your process procedures effectiveness. Change Management can be tricky here. Process optimization comes later, after you close out the original design, the process is going for a while, and you’re ready to improve once again. For now, focus on important procedure changes to achieve the original objectives, in order to prevent scope creep. The process procedures journey ends with procedure validation, where you ensure the process is working and the written procedure works. Once validation is complete, you’re ready to start your next process procedures journey.